Awards: Bharat Ratna (1997), Padma Bhushan (1981), Padma Vibhushan (1990) and many more. 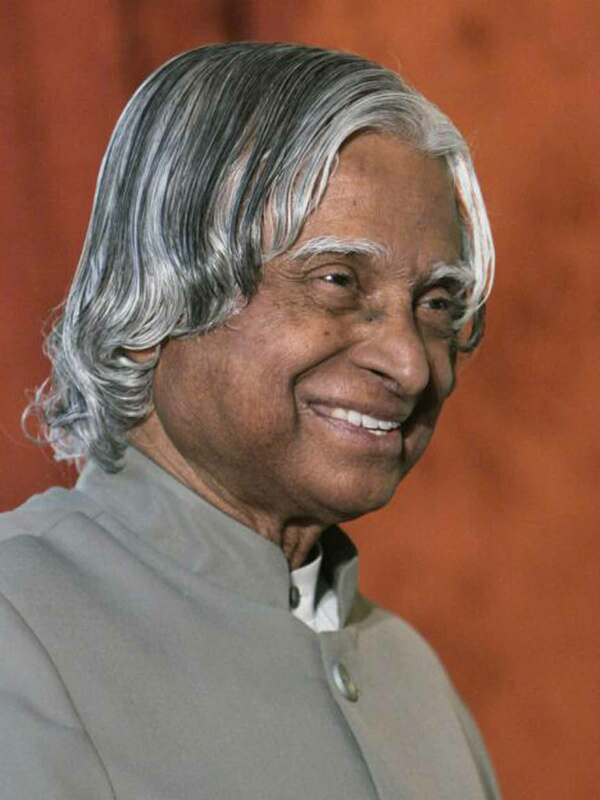 Avul Pakir Jainulabdeen Abdul Kalam was born on October 15th, 1931 in Rameswaram, Tamil Nadu. He is prominently known as the Missile Man of India became the President of India in the year 2002 and served in the office till the year 2007. He became the 11th President of India and is eminent for his major role in developing the civilian space program of the country and the military missile development of the country. In 1998, Kalam made vital beneficiations to India’s Pokram-II nuclear tests which presented A.P.J. as a nationwide hero. He made his place among the most influential people of India. He never got married. His possessions included a book he liked the most, Veena, some clothing articles, a CD player and a laptop. He left no will when he died. He gave a great importance to his religious and spiritual views. He respected his religion and all the other religions. He has described his spiritual journey in his book, Transcendence. Abdul along with Islam had immense knowledge about Bhagavad Gita. A.P.J. 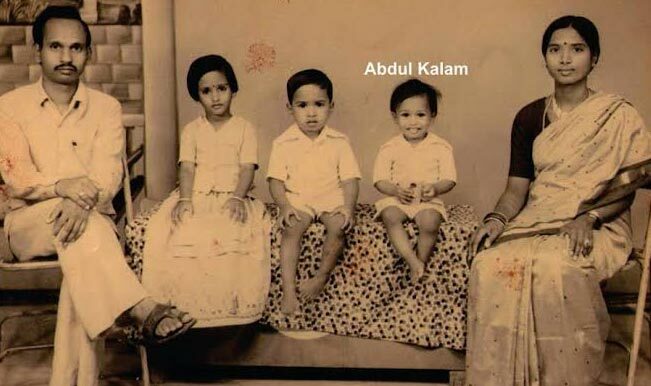 Abdul Kalam was born in a Muslim family to Jainulabdeen and Ashiamma. Abdul’s family was settled in Tamil Nadu. The family was not financially strong. His father was a boat owner and mother was a house wife. When Abdul was born, his family was not financially stable. He sold newspapers to incorporate the instability of his family. Abdul went to Schwaryz High School. Abdul was among those students who were found on the back seat of the class rooms, but Abdul had a brilliant and vivid mind. Abdul completed his further education from Saint Joseph’s College. Abdul always had an inclination towards space technology. The desire to know more about things took Abdul to Madras where he studied Aerospace Engineering in Madras Institute of Technology. Abdul always wanted to become a fighter pilot but he became a scientist. With the help of his incredible and remarkable knowledge, he gave India many amazing and mind-blowing projects and played an important part in upgrading of the Country. The eminent personality completed his degree in the year 1957 from the Madras Institute of Technology. Abdul joined the DRDO in the year 1958. He also worked with the Indian National Committee for Space Research. While at DRDO, a small hovercraft was designed by Abdul. In DRDO Abdul worked on a rocket project. After this, Abdul became a part of the Indian Space Research Organization (ISRO). Abdul was given the position of the director of the India’s 1st satellite launch vehicle – SLV-III. Abdul wanted to develop the Polar Satellite Launch Vehicle. Abdul was elected as the 11th President of India on July 22 in the year 2002. He became the 1st scientist and the 1st bachelor to hold the position of the President in the Rashtrapati Bhawan. He dedicated his term as the President to the remodeling of India into a developed country. He was one of the Best President of India. Abdul was very close to his people and was given the title of the President of People. After completing his tenancy as the President, he became a visiting professor at many well recognized institutions. He was inclined towards working with the young people and contributed later years of his life making it his passion. A.P.J. 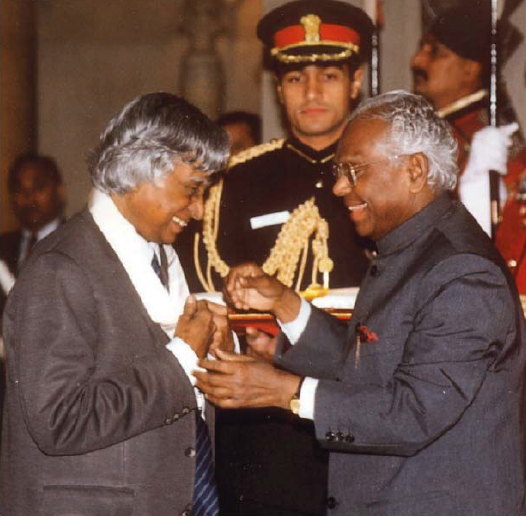 Abdul Kalam has been felicitated with many awards and honors. Abdul was felicitated with many elite and remarkable awards like; the Padma Bhushan, Padma Vibhushan, Bharat Ratna, Indira Gandhi Award for National Integration, Veer Savarkar and the Ramanujan award. Abdul was also honored with the Hoover Medal and the King Charles II Medal and a membership in IEEE symbolic. Abdul’s birth date has been declared as the student’s day across the globe. – If you get No as an answer, remember N.O. means ‘Next Opportunity’. A.P.J. Abdul Kalam has earned a place among the most influential people among the world. Abdul by his amazing and outstanding work became an inspiration for many people. People want to become like him and respect him for his mind-blowing contributions to the Country and this world. He started small in his life but because of his hard work and dedication he has made a place in the heart of every Indian. He was involved in rousing and inspiring the youth of the nation. He became prominent and is known to be the Best President, scientist, professor and the most influential personalities among India.